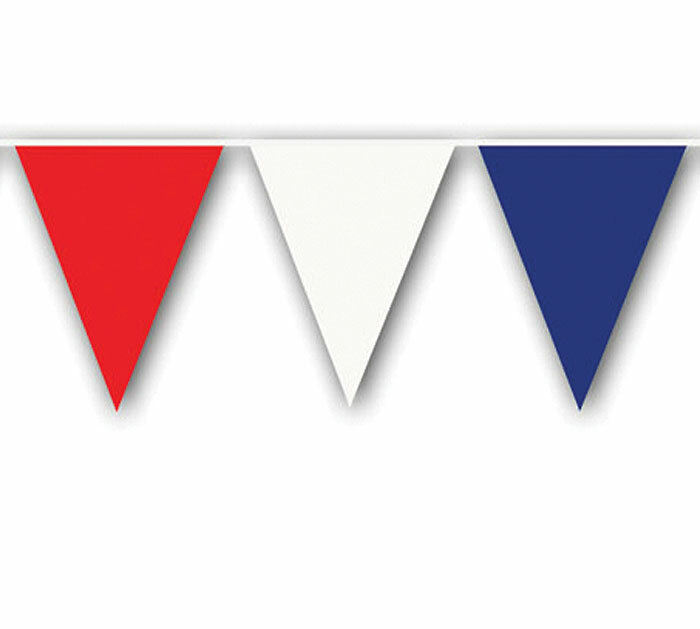 Red, white, + blue flag pennants. 120 feet long with 65 pennants. All weather plastic. 18"High.